PORTLAND, Ore. – Portland will host a massive marijuana event the same month that the drug becomes legal in Oregon. 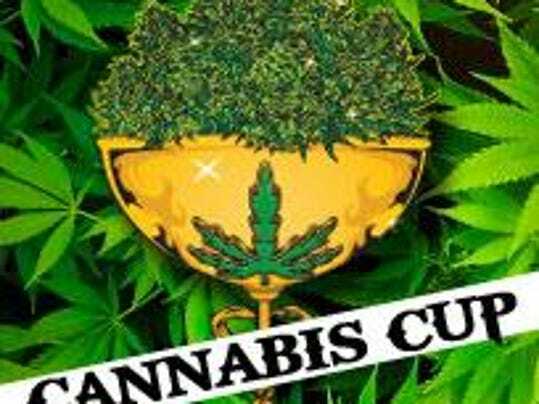 The Cannabis Cup is coming to Portland in July 2015, High Times confirms. High Times, which currently produces six Cannabis Cups in locations where marijuana is legal or has legal medical programs, will add Oregon as its seventh destination next year. We talked with Dan Skye, the Editor in Chief of High Times, about what Oregonians can expect from the event next year. Skye, who was on his way to the 27th annual Cannabis Cup in Amsterdam, said the Portland event will be something of a marijuana trade show, bringing together vendors who work in the marijuana industry. “It’s a chance for the public to see all these new businesses and check out some of the cannabis merchandise,” he said. Since marijuana will be legal, vendors will be able to offer free samples of products including edibles. But Skye was quick to point out that the Portland Cannabis Cup will be a ticketed event open to people 21 and older, which differs from other marijuana-centric events like Hempstalk that are open to people of all ages. The event will also feature educational seminars and national music acts – past Cannabis Cups have included performances by Cypress Hill and Ice Cube, and Skye hopes to add big-name musicians to the Portland bill. The Denver event, which is held on April 20 (an unofficial marijuana holiday), attracted around 40,000 people and 500 vendors. While Skye doesn’t think the Portland event will draw as many people, it’s still expected be a huge event for the city. For Skye, the main purpose of the Cannabis Cup is to help remove the stigma around marijuana. “It mainstreams cannabis, makes people see there are viable businesses cropping up around cannabis,” he said. And he’s elated that pot has been legalized in the state. A location for the 2015 Portland Cannabis Cup has not yet been chosen.